For the dipping sauce, combine ingredients and set aside until ready to serve. For the filling, use a mortar and pestle to pound the garlic and chillies to a rough paste. Heat the oil in a wok or frying pan over medium heat. Add the chilli paste and stir-fry for 30 seconds. Toss through the basil. Then add the fish sauce, oyster sauce, dark soy sauce and sugar. Stir-fry for another 30 seconds then remove from heat. Transfer the mixture to a bowl and allow to cool completely. Then mix with the pork mince. 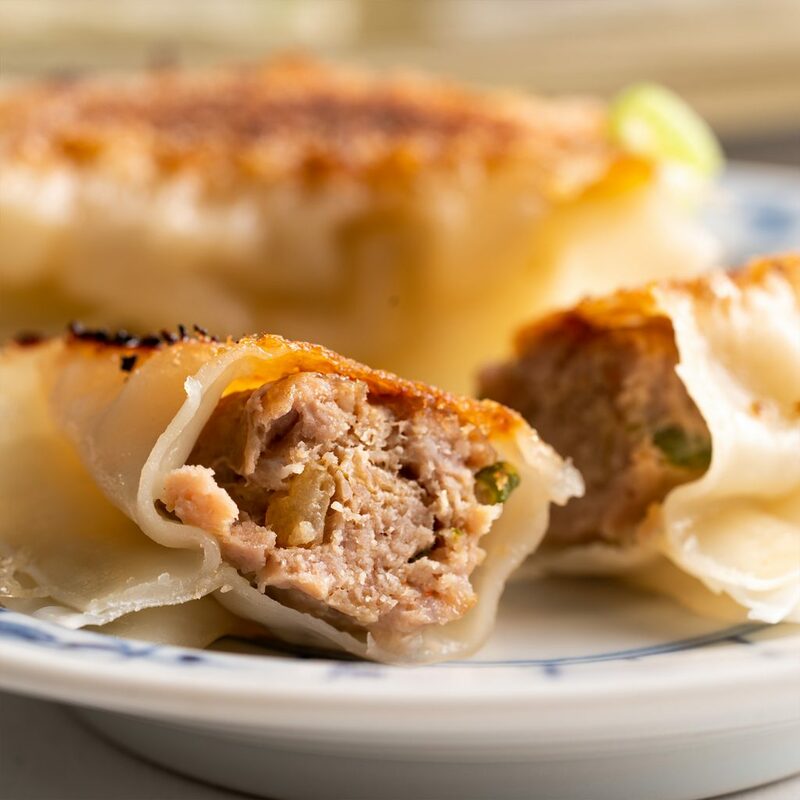 To fill the dumplings, take one wrapper and place a heaped tablespoon of filling into the centre. Fold the wrapper edges together using your fingers to create pleats in the top layer of the wrapper (see video for this technique). Repeat with remaining wrappers and filling. To cook the dumplings, mix the cornflour and water in a small bowl. Set aside. Heat the vegetable oil in a large non-stick frying pan over medium-high heat. Add the dumplings in a circular shape, keeping them quite close together. Pan-fry for 2-3 minutes until the dumpling bottoms are golden. Add the cornflour mixture and put a lid on the pan. 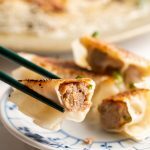 Turn the heat down to medium-low and cook for 8-10 minutes or until dumplings are cooked through and the cornflour liquid is nearly evaporated. Remove the lid and allow to cook for a further 3-4 minutes or until the cornflour mixture has formed a crispy, golden lattice. 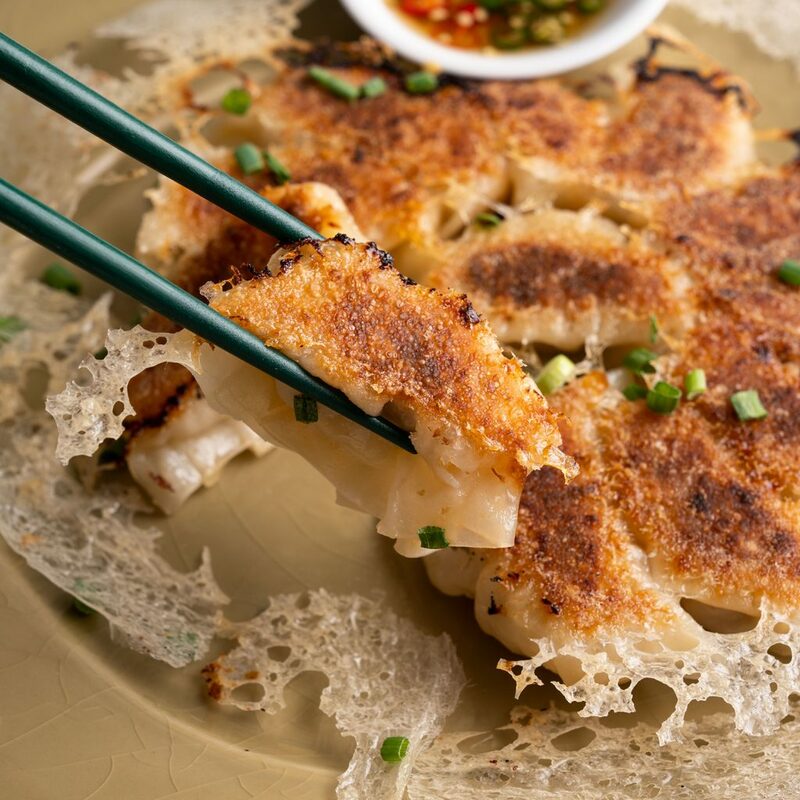 Shake the pan to loosen and then tip the dumplings out onto a plate (try to keep that lattice in tact). Watch the video to see the full technique. 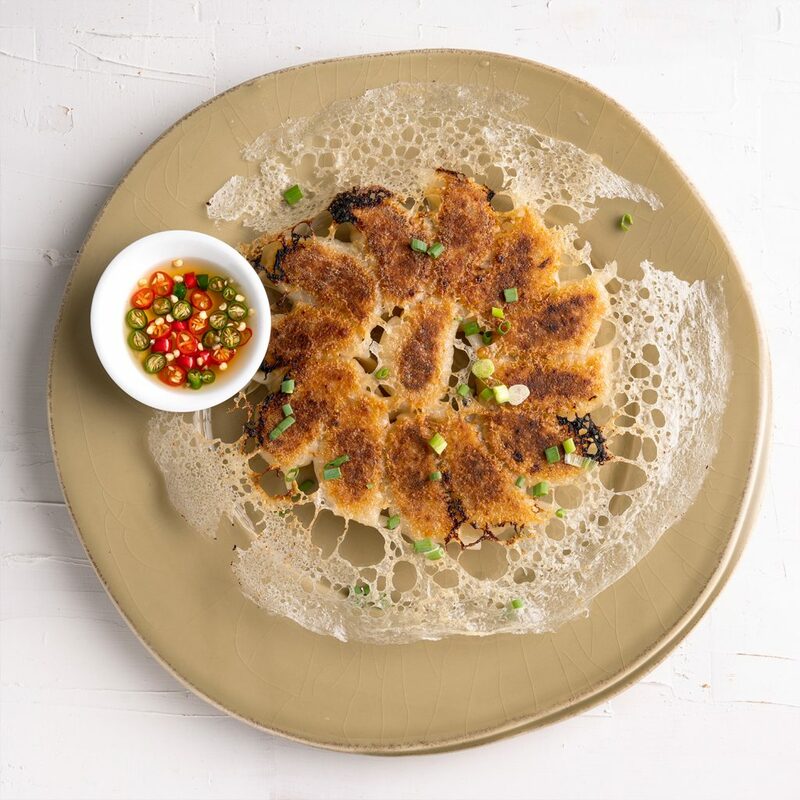 Serve with the prik nam pla dipping sauce.